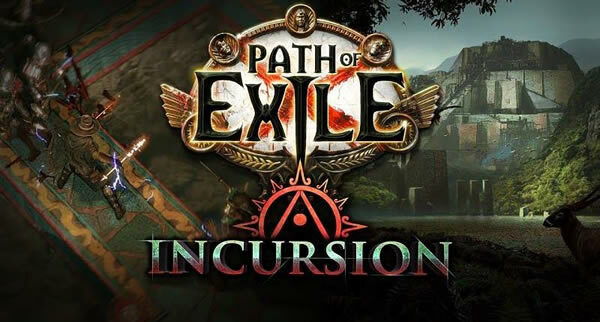 In Path of Exile, many collectors of poe exalted orb know that Incursion League will come on June 1. Many fans have many problems with the this league. So the official website has published an article about answering players' questions. Here is a part of the official website news. 1. How often will I see Alva? Alva spawns in every area from the Mud Flats onwards. This excludes side areas like master missions. She will also spawn in every end-game map you enter - this may exclude unique maps but we are not yet able to confirm. 2. Will my Incursion load with my map or area? Yes, the Incursion is loaded as you enter an area. This means there are no loading screens before you enter an Incursion. However, when Alva spawns the final Temple, she opens six portals for you to enter where you will encounter a loading screen on your way there because it's a large, separate area. 3. What monster/item level will the Incursions and Temple be? Incursions are the same level as the area that they are contained within. The level of the final Temple is the average of the levels of the Incursions that led to it, plus a few levels. The intent is that that it'll be pretty close to your level while you are progressing (unless you skip areas or do low level Incursions way below your level). 4. Do your map mods affect your Incursions and final Temple? When you open a map, your Incursion will be affected by all of the mods of that map. The final Temple has its own game instance and will not inherit any map mods, because it gets its mods from the rooms it contains. 5. What does the Tier 3 Temple Nexus Room Do? Rooms surrounding a Tier 3 Temple Nexus Room will be one Tier higher (capped at 3). 6. How does the implicit mod on the String of Servitude unique belt work? The item drops pre-corrupted and the implicit will be a tripled version of any belt corruption mod. The new mod shown on the item is already tripled. To be clear, this item doesn't triple the implicit mods on other items that you have equipped. 7. Can we turn off the motion blur inside Incursions? The version of this effect shown in the trailer was amplified for effect. The version that exists in the game has been toned down and can be turned off by disabling post processing. 8. Will there be a fixed number of Incursions to complete before entering the final Temple or are there mechanics to alter it? It will be a fixed number of roughly 11. We are only using estimates for now until we confirm what the exact fixed number will be. It may be higher in maps than regular areas so that you have more opportunities to get good rooms. 9. Is there a fixed Temple layout each day? No. The layout starts randomly generated for you and changes based on the actions that you performed during your Incursions. You'll get a new random layout every time you complete the Final Temple (after each set of 11 Incursions). Real-world time has no impact on it. For more information, you can visit official website.